To present an updated systematic review of the indications and outcomes of open and arthroscopic labral reconstruction. Due to the increasing popularity and recognition, the arthroscopic procedure has gained in recent years, the aim was to assess for changes in indications, graft selection, and improvement in outcomes within the last 5 years. 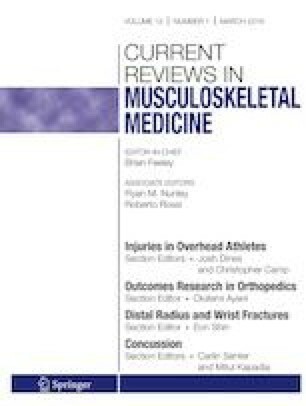 A total of nine eligible studies (six case series, one cohort, and two retrospective comparative studies) with a total of 234 patients (265 hips), and an average 12/16 (non-comparative studies) and 20/24 (comparative studies) quality on the MINORS score were included in this review. All patients underwent labral reconstruction, whether as primary surgery or revision (76% vs 24% respectively). There were 244 hips assessed at final follow- up (92%) with a reported mean range of 12 and 61 months. There were more graft variabilities found in this study compared with the previous review (iliotibial band allograft, gracilis tendon autograft, indirect head of rectus femoris autograft, semitendinosus allograft, peroneus brevis allograft, labrum allograft, ligamentum capitus femoris). Surgical approaches differed (open 7.9% (previously 18.7%), arthroscopic 86% (previously 81. 3 %), arthroscopic assisted mini-open technique (AAMOT) (6%)). Overall, improvement was observed in the patient-reported outcomes and functional scores, with variability in their statistical significance. The failure rate or conversion to total hip arthroplasty (THA) decreased compared with the previous review (20% vs 9.5% [conversion to THA was 5.7% and revision surgery rate was 3. 8%]). Indications for labrum reconstruction remained similar (i.e., young, active patients with no or minimal arthritis (Tonnis 0–1), irreparable or ossified labrum, and hypotrophic < 2 mm or dysfunctional hypertrophic labrum > 8 mm). According to recent evidence, hip labrum reconstruction is a new technique that showed short- and mid-term improvement in patient-reported outcomes and functional scores postoperatively. The primary indication for reconstruction remained similar over time. The failure rates and/or conversion to THA appear to have decreased over time. Long-term follow-up with higher quality studies was not available in the literature based on this review. Latifah Al Mana, Ryan P. Coughlin, Veeral Desai, Nicole Simunovic, Andrew Duong. Olufemi R. Ayeni is a section editor for Current Reviews in Musculoskeletal Medicine. Dr. Ayeni is on the speakers’ bureau for Conmed and Smith and Nephew.